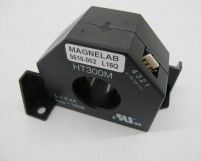 At Magnelab, you will be able to find a huge range of current transformers, current sensors, split-core current transformers, Rogowski flexible core coils, and more. Of particular importance are the DC current sensors. We want to make sure that you have all the tools you could possibly need to get your electrical job done right. Because of this, our catalog of products has become very big. However, it is possible to narrow down your results in order to find the right product, including types, products or specifications. If, after that, you still haven’t found the item you are looking for, then please contact us and we will try to identify the product you need. Additionally, we are happy to customize many of the products we offer. 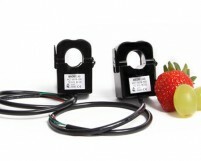 For instance, you could ask for custom connector installation, longer lead length or a unique voltage output, to name but a few. 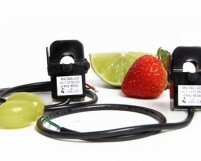 DC current sensors can make use of the Hall effect principle. 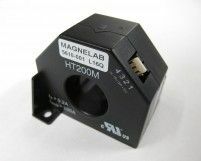 This means that their output voltage varies as a response to a magnetic field that the sensor comes into contact with. These sensors are used for positioning, proximity switching, current sensing application and speed detection. The Hall Effect itself was discovered in 1879 by Edwin Hall. The effect describes the ‘Hall Voltage’, which is when a different voltage is produced through any type of electrical conductor. This voltage is transverse to the electric current itself, as well as having perpendicular magnetic field in relation to the current. 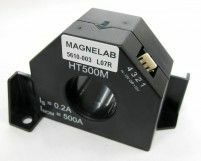 A current transducer uses the Hall coefficient, which is basically the ratio of the electric field that is induced to the current density’s product and the magnetic field that is applied. The material that is used in the creation of the conductor has certain characteristics applicable to this. Because of this, however, the value varies depending on the number, type and other properties of what ever is carrying the charge that makes up the current. If there is a known magnetic field, then the distance can be determined from the Hall plate. 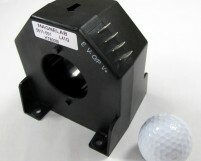 By utilizing a number of sensors together, it is possible to deduce what the relative position of the magnet is. 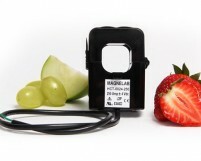 This is different from a device that takes AC input and converts it to DC voltage like the DCT-0016-100 current sensor. A DC current sensor is often use together with circuitry that makes it possible for the machine to act digitally (on or off). As such, it is often referred to as a switch. We see this in various industrial applications, but also in consumer equipment. Because they are so accurate and reliable, they are becoming more and more commonplace. DC sensors are often used to time how fast a shaft or wheel is moving. This can be in a tachometer, an internal combustion engine or an anti-lock breaking system. 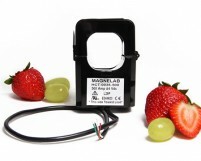 They can also be used in electric motors in order to detect where the permanent magnet is. If the magnets are spaced equally, the sensor’s voltage will peak twice in each single revolution. We often see this to make sure disk drives have the right speed.